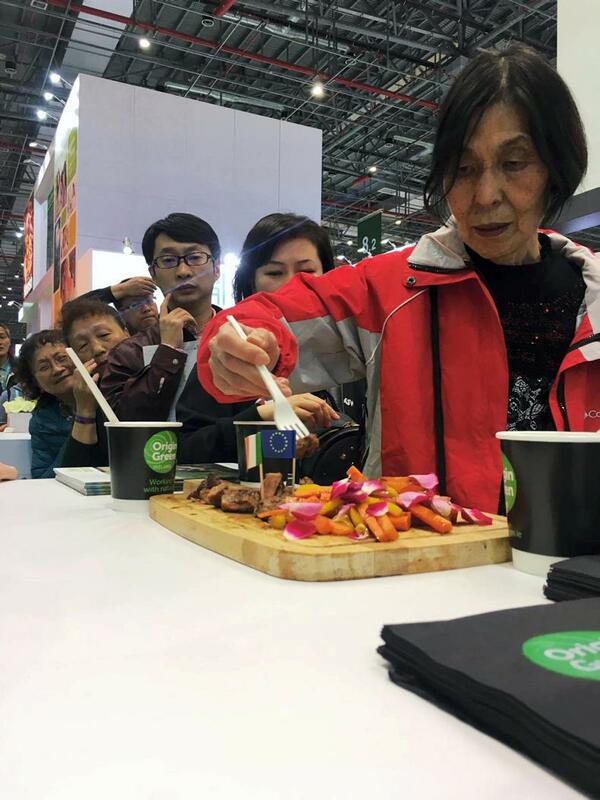 Bord Bia offered samples of Irish beef at the Chinese International Import Expo in Shanghai and it proved popular among the crowds. 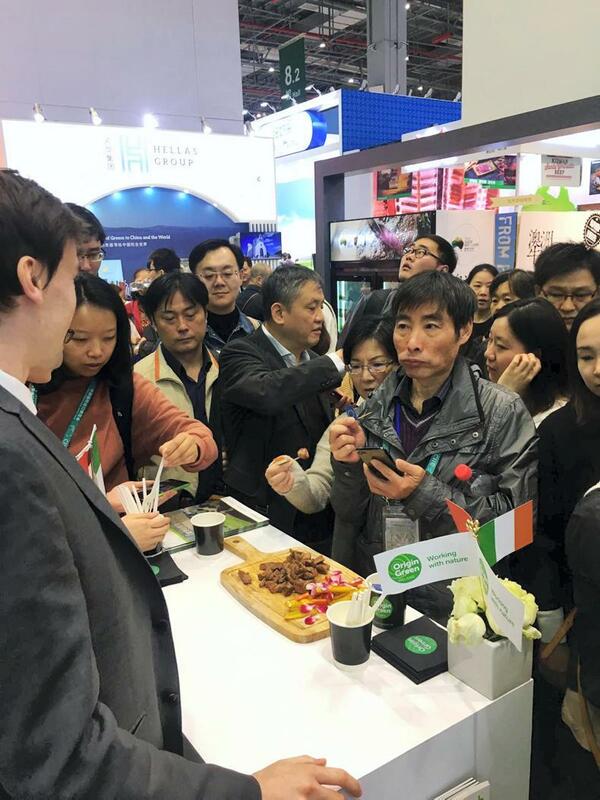 Attendees at the China International Import Expo (CIIE) in Shanghai had the opportunity to taste Irish beef and it proved popular among the crowds. 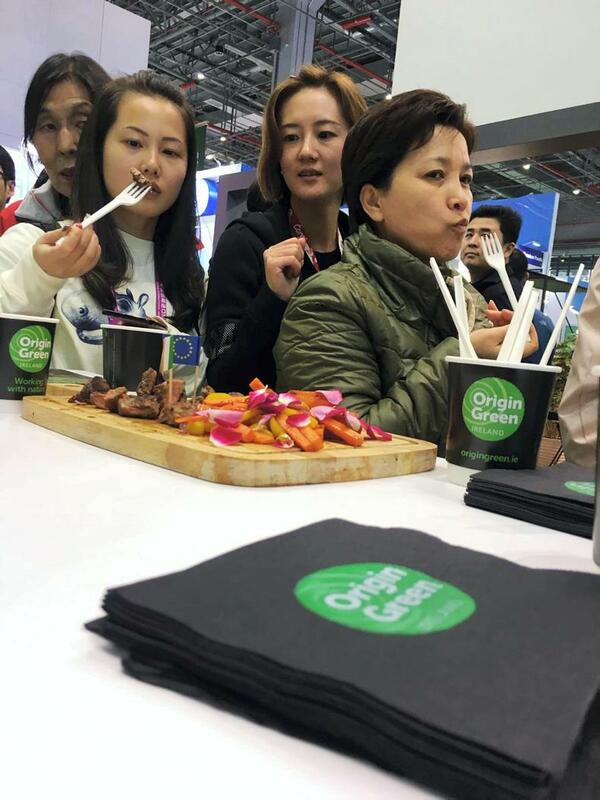 The Bord Bia stand was the only one where European beef was available for tasting and crowds formed a lengthy queue in order to get a taste. This is the first year the expo has been held and there is a projected attendance of 150,000 buying professionals. It is being held in the National Exhibition and Convention Centre (NECC) which has an area of 500,000m2, which is equivalent to 123 acres. CIIE is an initiative from Chinese president Xi Jingping as part of the country’s One Belt, One Road strategy to encourage global trade. Along with the beef samples, there were also 11 Irish exhibitors from the pigmeat, dairy and beef sectors. 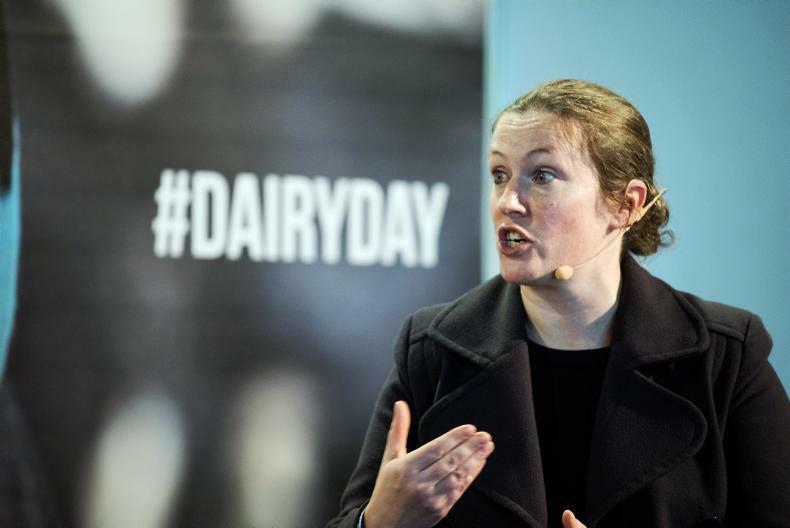 Bord Bia CEO Tara McCarthy and Minister of State Andrew Doyle also attended the expo earlier in the week, along with officials from the Department of Agriculture. 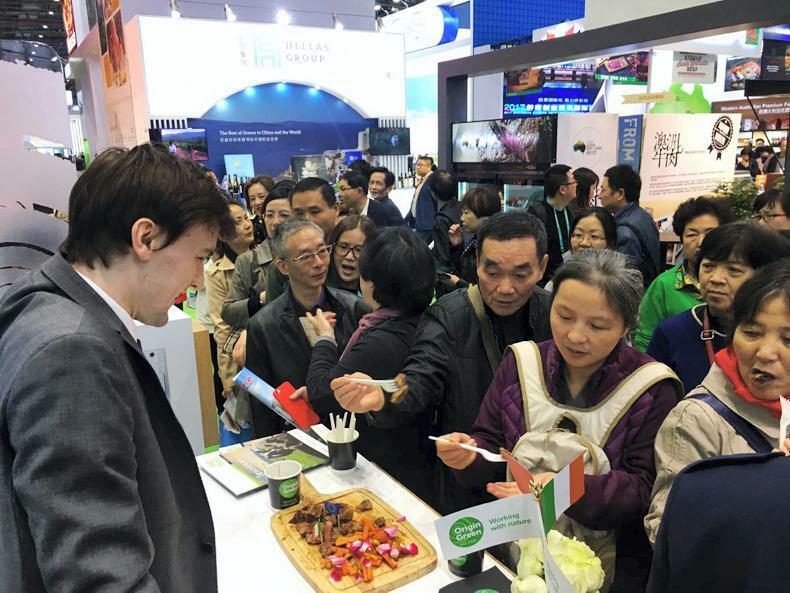 Sinead McPhillips and Paula Barry-Walsh from the Department of Agriculture had been in Beijing attending technical meetings with their Chinese counterparts. 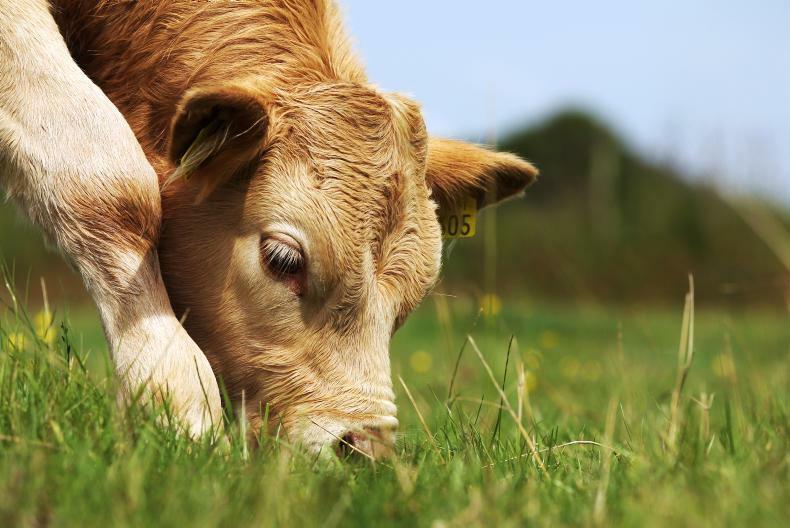 At the meetings, further access for Irish beef was discussed and sheepmeat access talks were designated a priority in 2019. Easter weekend is forecast to be warm, with hazy sunshine and temperatures to hit the low 20s. Friday will be a dry day, becoming warm in many areas with hazy sunshine. Met Éireann has said that afternoon temperatures could reach 18°C to 22°C or even 23°C. 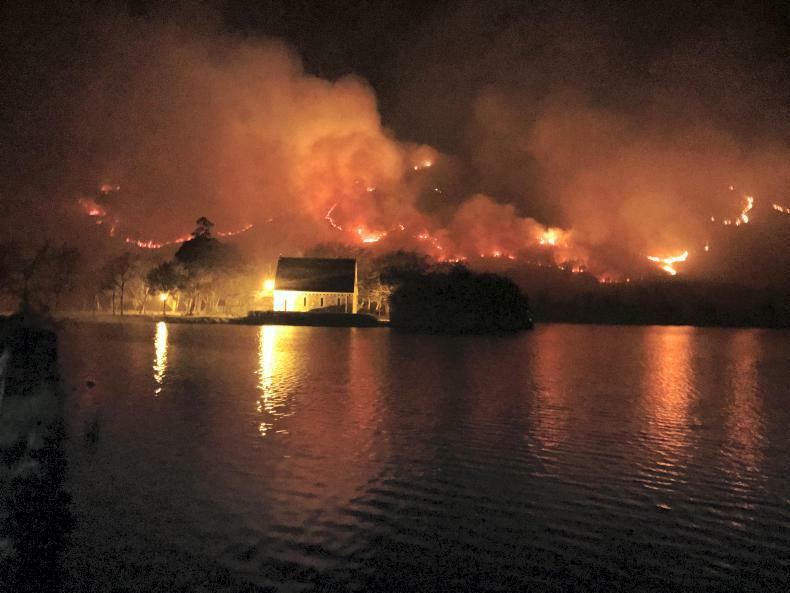 It will be cooler on southern and eastern coasts, becoming possibly misty with temperatures of 15°C to 17°C. Winds will be light southerly or variable. It will be misty everywhere on Friday night with fog developing in many areas. Lowest temperatures will range between 6°C and 9°C in near calm conditions. Saturday is forecast to stay warm and dry in most areas again, with sunshine developing after the clearance of mist and fog. However, Met Éireann has said it will stay cloudy in Connacht and west and north Ulster with perhaps some drizzle there along the coast. Afternoon temperatures will range from 15°C or 16°C in the northwest to between 17°C and 22°C elsewhere. Winds will be light and variable. There will be extensive mist and fog on Saturday night, with patchy drizzle in parts of the west and north, again in near calm conditions. Easter Sunday is shaping up to be a dry day in many areas. The overnight mist and fog will burn off and spells of hazy sunshine will develop, especially in the midlands and east. However, thickening cloud may bring some scattered rain to southwestern, western and northwestern coastal fringes during the evening or more likely overnight. Highest temperatures on Sunday are expected to vary between 15°C and 20°C, the highest of which will be in the midlands and east in a moderate southerly breeze, freshening along the west coast later. The current indications for Monday suggest a breezier day especially on the west coast. It is forecast to be rather cloudy over western areas with the risk of some rain at times. It will be brighter elsewhere, with sunny spells and just an outside risk of a few showers breaking out later in the day. Temperatures will still be above normal with highs of 14°C to 18°C or 19°C, the highest of which will be in eastern areas.